Like Shakespeare's Juliet, Annabella, accompanied by her down-to-earth nurse, is introduced to a series of suitors to her hand. 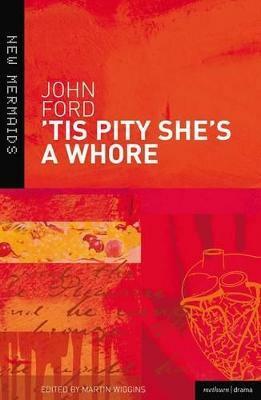 Like Juliet, she finds all of them unsatisfactory - and rightly so, for the audience know that the nastiest of them is having an affair with her domineering aunt. Like Juliet, Annabella is wooed by a sensitive and passionate young man whose love she returns - but this young man happens to be her own brother, Giovanni. When they consummate their love and she, to avoid the scandal of extramarital pregnancy, agrees to marry her aunt's lover, the tragic outcome is inevitable. John Ford, writing his psychologically powerful and intellectually challenging tragedies in the early years of King Charles I's reign, is a playwright of the first rank, as 20th-century directors have shown both in the theatre and on film. Martin Wiggins is a Fellow of the Shakespeare Institute, University of Birmingham.